1 DVD / 2 Hrs. & 35 Min. 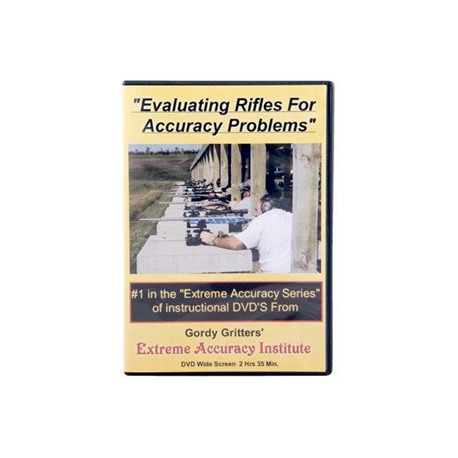 In this intensive video, Gordy thoroughly explains rifle accuracy, the problems that cause poor accuracy, and shows how to completely evaluate/measure/gauge every aspect of a factory or custom rifle for accuracy problems. 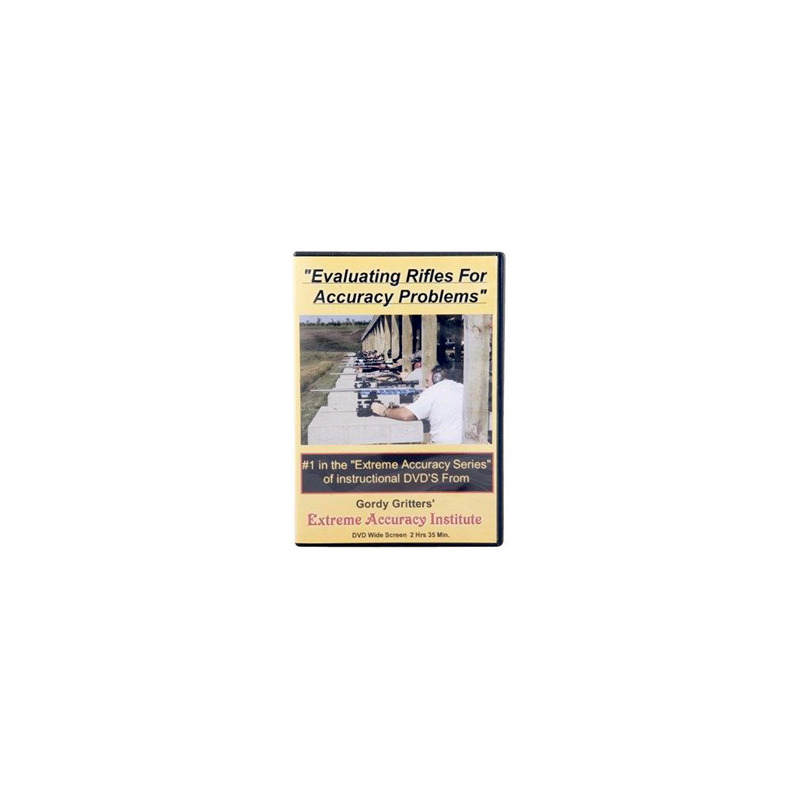 He shows how to "slug" a bore to evaluate internal barrel problems, and has some terrific borescope footage that clearly shows crooked/off-center chambers, smeared lands caused by dull chamber reamers, chamber and throat "reamer chatter", throat erosion, and other accuracy robbing problems. 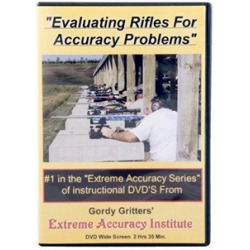 Gordy then goes into detail explaining some of the best procedures used to correct all the accuracy problems in the action, barrel, stock, bedding, trigger, and other components of a rifle, including the "Big Five" things that are absolutely essential to bring out the full accuracy potential in any rifle. 2 Hrs./35 Min. NOTE: This DVD is NTSC and will not work in all International DVD players.